Remember the time when we were kids and to celebrate our birthdays, our parents took us to Disneyland for the very first time? Well, even as an adult, someone still loves spending birthdays at Disneyland. And, that someone is Paris Jackson, who spent her 18th birthday with her new boyfriend Micheal Snoddy at the popular amusement park. Daughter of the “King of Pop” himself, Michael Jackson, Paris turned 18 on April 3 and celebrated it by spending time with her boyfriend Michael Snoddy at Disneyland. And, Paris shared photos on her Instagram that showed her kissing Michael at the theme park. 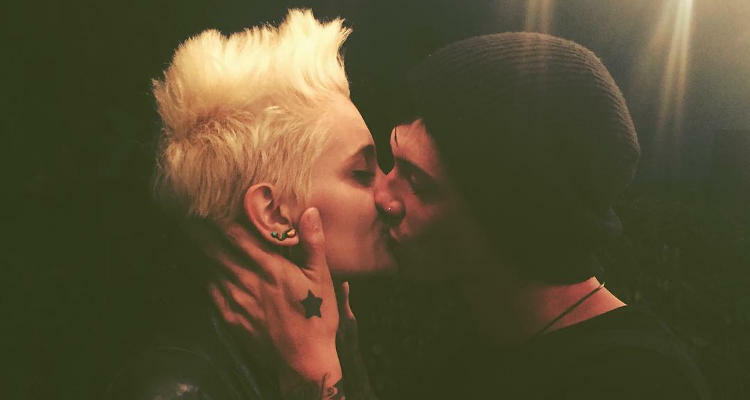 In one photo, the 18-year-old Paris Jackson is seen passionately kissing Michael Snoddy and another one showed the couple caressing in peace. Paris Jackson shared the photo with a “best birthday ever [sic]” caption, hinting to usthat she’s really into her new boyfriend. All we know of Michael Snoddy is that he’s the 26-year-old drummer of the band called Street Drum Corps, and he met Paris during her stint at Alcoholics Anonymous. This could be a reason for the Jackson family being against Paris dating the tattooed drummer. Although, we think Michael is really fond of Paris since he keeps sharing photos of them spending time together. He shared a photo of the two fooling around backstage at his concerts and wrote, “Bring ur bae to work day!…[sic]” with the hashtag “#sohappy” added to it. 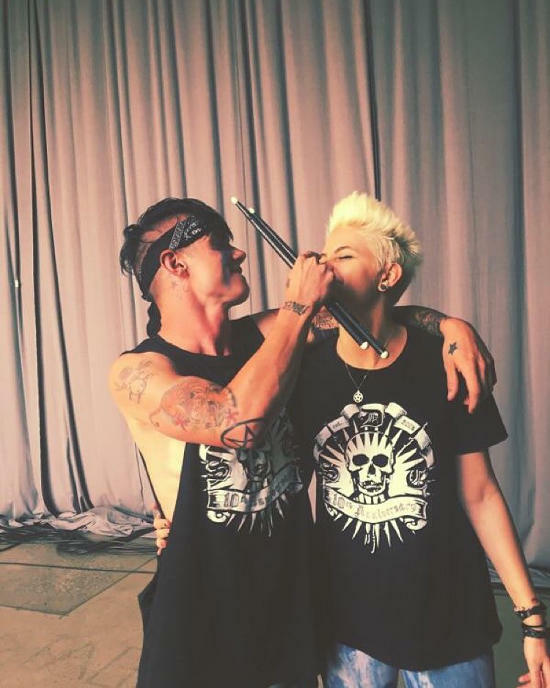 Spending time backstage followed by kissing on birthdays shows signs that Paris Jackson and Michael Snoddy could shape up to be the hottest young couple of Hollywood.